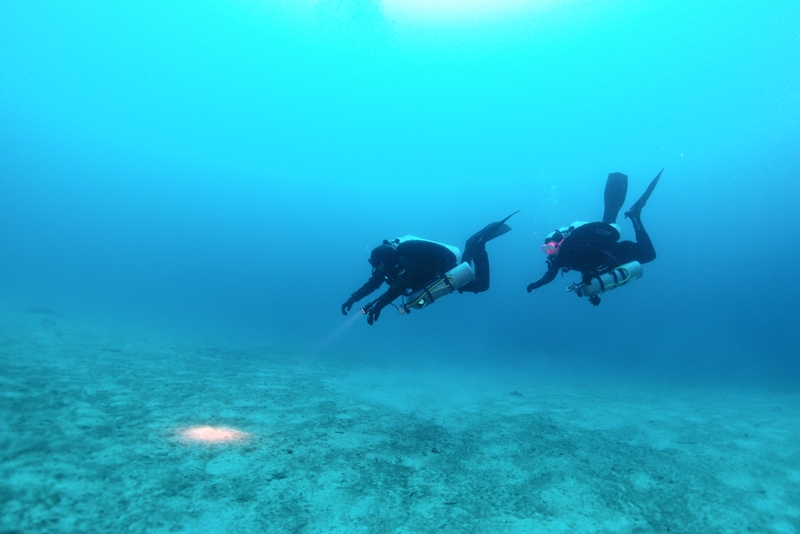 Lee and his student ranged a bit deeper beyond the MV Karwela for extra depth on what was the first good-visibility dive in the area this year. The subjects present an excellent example of why we should all dive with brighter colours. This work is licensed under a Creative Commons Attribution-ShareAlike 4.0 International License. Please attribute Kristaps, the photographer, with a link to kristaps.bsd.lv/photo0037.html.